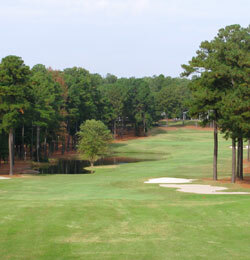 The Pinewild Country Club is a private member owned facility located in the heart of Pinehurst that includes two championship courses, a nine hole par three course, 3 practice holes and short game complex at the Golf Academy facility, 4 Har-Tru tennis courts and a 25-meter Olympic swimming pool. The Magnolia Course, and her siblings Holly and Azalea, are situated within the gates of the vast Pinewild residential community. In symmetry with the neighborhood, the fairway corridors are replete with mature trees and the housing that borders the courses are set back nicely creating a forest like atmosphere. Magnolia is a Gene Hamm design that opened in 1989. Featuring five sets of tees ranging from 5178 to a beastly 7446 yards, the Magnolia offers both the high and low handicapper an enjoyable test of golf. Routed through majestic pines, featuring charitable landing areas and sizeable ticklish greens, the course imbues a risk reward personality. Although the majority of the course can be described as gently undulating you will encounter dramatic elevation changes on a handful of holes. Strategically placed lone sentinel trees are also a common design element that will influence your course management and shot selection decisions. Azalea was added to the facility in 1992. This great collection of nine par 3’s features two sets of tees offering dramatically different yardages. The final piece to the Pinewild puzzle fell into place in 1996 with the completion of the Gary Player designed Holly Course. In contrast to the Magnolia course Gary’s routing features smaller green surfaces, less bunkering, more numerous water hazards and natural waste bunkers are an integral element of the design. Recollecting the holes at Magnolia post round while trying to identify my shot maker’s selections only reinforced my initial on-course feelings that this is a really solid golf track. In the end I nominated the par 5’s as a collective but I could have just as readily picked the par 3's or a couple of standout par 4’s. The 3’s vary in style, length and elevation presenting different challenges and call for vastly different shot selections. The par 4 fifth and eleventh holes requires reaching into your bag of tricks and drawing out power, finesse, distance control and a tidy short game. 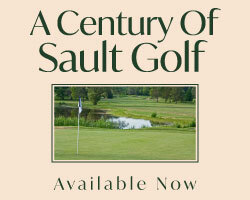 Length, elevation changes, water hazards and well defended putting surfaces are present on both holes. If your psyche is fragile holes 5, 11 and the par 3's may push you over the edge. Each par 5 at Magnolia is unique and will test different aspects of your game. The opening hole is a beastly straight ahead par 5 where it's bombs away right out of the get go with no other way about it. Number 8 is number 1’s antithesis –it winds its way first right then back to the left with bunkering and sentinel trees at each corner that need to be avoided or challenged depending on your plan of attack. This serpentine hole culminates with a false fronted green complex containing slopes and bumps that work hard to repel your approach. Holes 13 and 18 are similar in nature offering a risk-reward opportunity. Both begin from elevated tees high above the fairway below then rise to elevated sloping greens and water is the major design element creating the challenge. On hole 13 two ponds pinch the fairway 90 yards shy of the green which affects club selection on the approach. The 18th hole represents a different dilemma where a large pond dominates the left side from the landing area to the green. The prudent player will select a club that takes the ponds out of play on both holes. The more aggressive player may try to sneak the long ball through opening on 13 in an attempt to make eagle. To reach 18 in two shots a left-to-right shaped drive is needed to skirt two right side bunkers while avoiding a left side fraught with danger where even the slightest hook will bring bunkers, sentinel trees and the pond in to play. If your collar is getting a little tight this is a nerve wracking finishing hole. 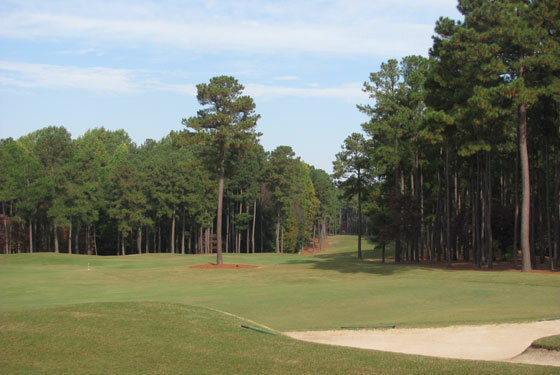 The Magnolia is definitely a course you should add to your next Pinehurst trip itinerary. 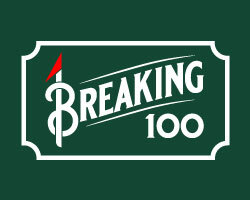 If relocating to Pinehurst is in the cards and you’re looking for a home club it will be well worth your time to consider Pinewild Country Club. The membership is active, the club house facilities above par, grounds well maintained and the staff friendly and efficient.